As the medium that touches busy parents of back-to-schoolers throughout their day, radio can help drive traffic for back-to-school sales. 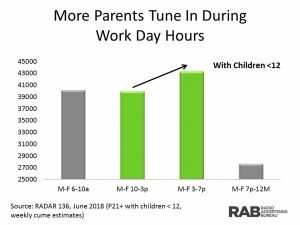 Specifically, more parents of children 12+ tune in during the workday hours than any other time – peaking during the 3-7pm time period. Radio’s primetime is during the traditional workday hours. With the peak of listening occurring toward the latter part of the workday, radio is the perfect medium to remind parents to stop for back-to-school supplies on their way home. 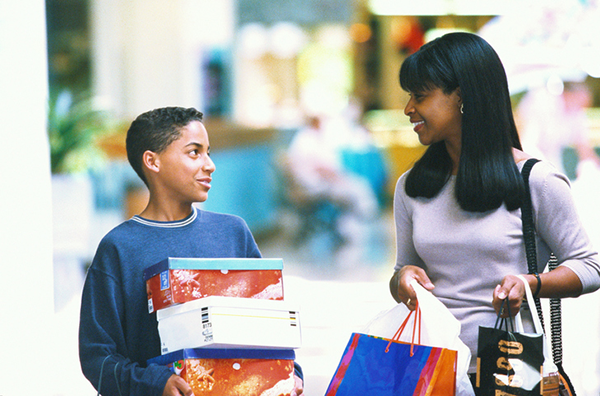 When these parents shop, what are they buying? According to a 2017 Deloitte survey, parents were expected to spend nearly $500 per child on back-to-school shopping on average. While clothing and school supplies dominate BTS shopping, parents also purchase computers and hardware as well as electronic/tech gadgets. We know that radio touches the lives of millions of people. Radio is also a medium that reaches and is tuned into by parents of school-aged children. As BTS shopping goes into full swing, radio is the medium that will help inform and promote deals to potential shoppers as well as drive store traffic and increase sales. Previous Previous post: Radio on Main Street Podcast Featuring Doug McElrath and Jim Baxter with the University of Maryland’s Library of American Broadcasting. Next Next post: Radio on Main Street Podcast Featuring Sherman Kizart, Managing Director, Kizart Media Partners.